The key to fast weight loss is not to starve yourself especially early in the morning. It most important to have breakfast so that your metabolic rate keeps working at a regular place all day all. When you go to work or school with an empty stomach, your metabolic rate slows down thus making your calories burn slowly. Therefore, it is best to have a glass of juice or skimmed milk with a piece of whole wheat bread or a boiled egg as breakfast in the morning. Suggesting you to cut off all your food at once may not be a long lasting tip for fast weight loss; instead, it is usually recommended that you start by reducing the amount of food you put on your plate. For example, if you have two pieces of chicken every day, reduce it to one. Along with this, eat as slow as possible, chew your food for at least 30 seconds to one minute before swallowing it. This is because it takes at least 15 to 20 minutes for your stomach to realize that there is food inside it. Amongst the best diet tips is to have as much water as you can. Since it is zero calories, you do not need to worry about putting on weight. In addition, with a lot of water in your stomach, you will eventually start feeling less hungry. Once your hunger is under control, there will be no urge to overeat and gain weight. Make sure that you have a glass of water right before every meal and at the same time also ensure that you do not drink water right after finishing your meal. Instead, wait for half an hour before having water or any other fluid. Most people have the habit of staying up very late at night and eating snacks while watching late night movies or working. If you are this type of person, then the best thing for you to do is to brush your teeth early at night and then stop yourself from eating anything by thinking that you have already brushed your teeth. The idea is to develop self-control so that you can let go of the unhealthy eating habits and lose weight as quickly as possible. Probably one of the most effective diet tips is to replace your junk food (burgers, fries, pizzas etc) intake with more natural products like fruits and vegetables. If you do not like to eat fruits, squeeze them into juice and have that instead. However, make sure that you have freshly squeezed juice instead of the regular boxed ones available in the market, which have added preservatives that reduce its nutritional value. Always remember that trying to lose weight fast does not mean that you ruin your health. 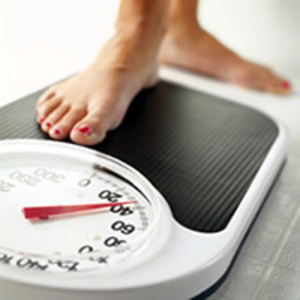 Instead, balance your diet plan and routine in such a way that you lose weight without damaging your health. What Are The Mental Benefits Of Exercise? What are the Nutritional Benefits of Juicing? What Type of Health Insurance Covers Migraines? Love Handle Workouts – How to get rid of Unsightly Fat? © 2019 Healthy. Fit. Strong. All Rights Reserved.